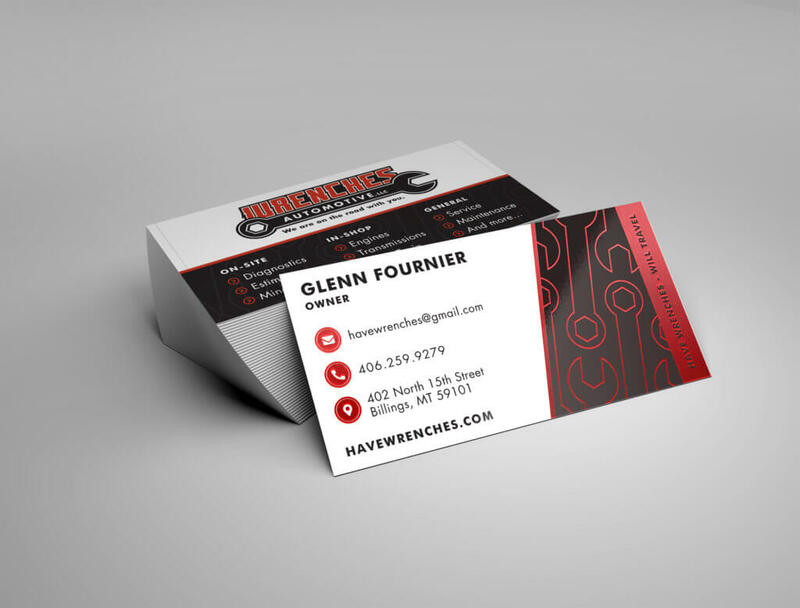 Zee Creative designed a brand new logo for Wrenches Automotive and coordinating business cards. The cards were given a special touch by adding a metallic finish to their signature red. To match the updated look, outdoor signs and banners were created by Permaletter, the sign division of Zee Creative.